Get your very own close-up look at the finish line! 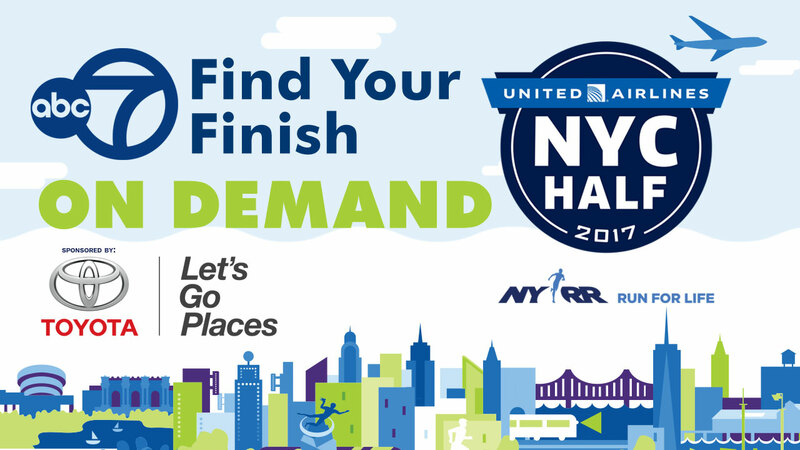 Celebrate the 2017 United Airlines New York City Half Marathon with these video on demand moments. Elite runners from around the world put their skills to the test, joined by thousands of others from around the region and the U.S. in this race on the streets of New York. Find Your Finish on Demand: Wheelchair winners and finishers, and Women's and Men's winners. Watch all the winners of the 2017 NYC Half cross the finish line! Wheelchair finishers at the 7:35 mark and 21:45 mark. Women's winner Molly Huddle at the 48:20 mark. Men's winner Feyisa Lilesa at the 51:58 mark. Finishers who crossed between 8:37am and 9:30am on March 19th, in the 2017 NYC Half. Watch Finishers in the 2017 NYC Half Marathon. Watch finishers in the 2017 NYC Half- those who celebrated their finish from 9:31am through 10:27am. This clip shows runners finishing between 10:27am and 11:15am in the 2017 NYC Half.